There's only been one previous Pleione on the blog, which looked more or less like this, except that it was white and yellow instead of purple-pink, light yellow, and orange-red. To the best of my recollection, neither one of them had any foliage. 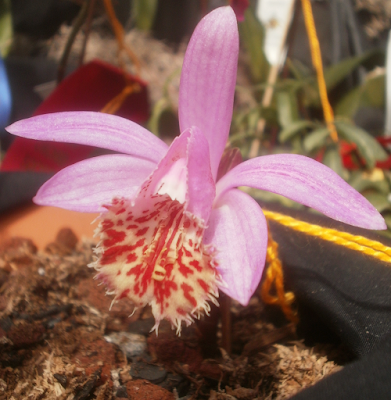 I don't know much about Pleione; Wikipedia says that they have a weird life cycle but I'm not sure I quite follow the description. It sounds like they grow leaves, drop them, and then grow flowers, like Amaryllis belladonna ("naked ladies"). Wikipedia also says that they're considered easy to grow, and that the blooms are usually either pink/purple or white/yellow. If this intrigues you at all, I ran across this site, written and maintained by a Pleione enthusiast, which has a lot more information and photos and stuff. Actually, if my understanding is correct, you have it backwards -- blooms emerge first. After or as the blooms fade and die, then leaves emerge. Blooms are fairly short lived (not unlike Amarylis) and will last longer if temps are kept cool. 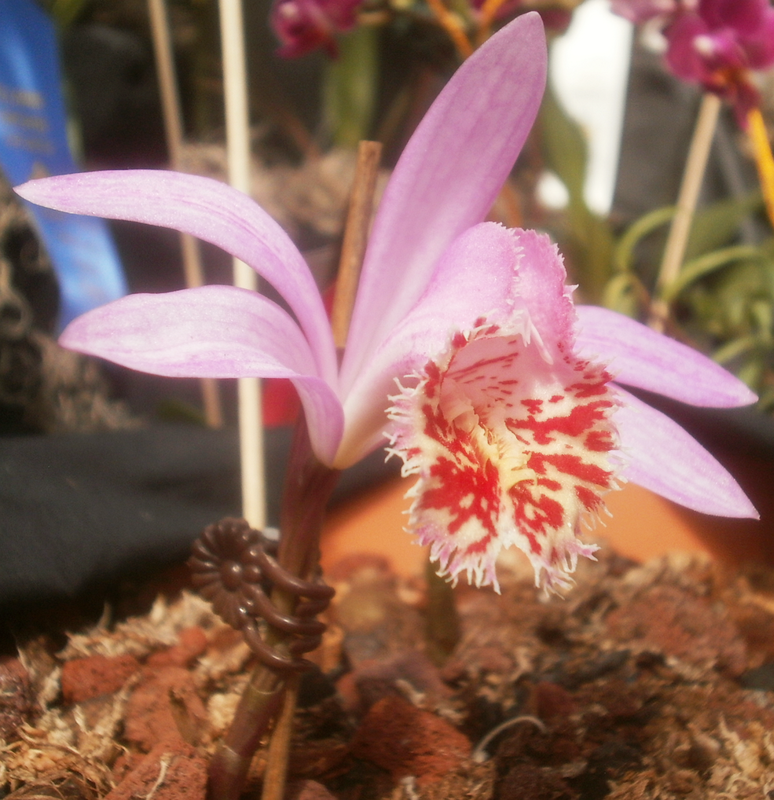 Not sure how much variation there is across the genus with regards to blooming time. Anthurium no. 0314 "Camille Yen"
Anthurium no. 0596 "Alisa Summers"